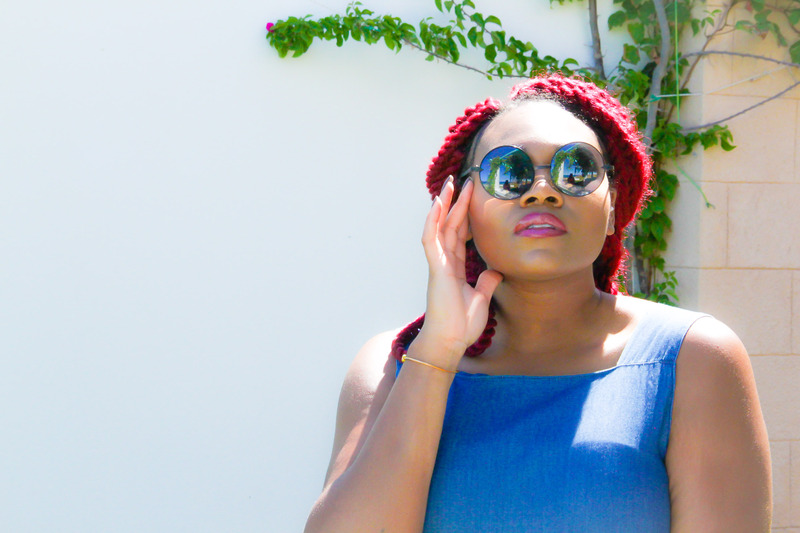 We are well into the summer but it’s not too late to whip out the Denim dress … if you have not done so already. Denim is so versatile and not to mention it goes with practically everything. 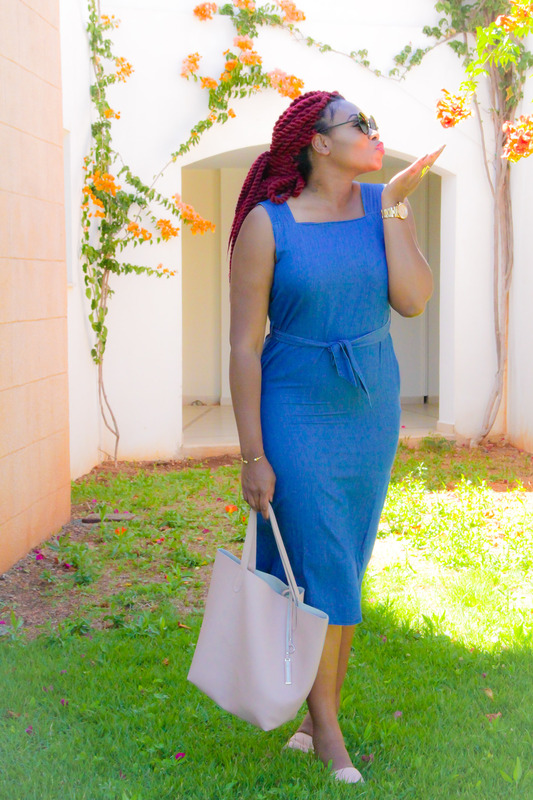 This summer I am totally loving the romantically feminine pinafore denim dress. It compiments the t-shirt under a dress look and gracefully takes me back to my youth. Let’s not forget my all time favourite – denim shirt dress. They have such a summers day feel about them. Pair it with flat or high sandals for instant summer chic looks. 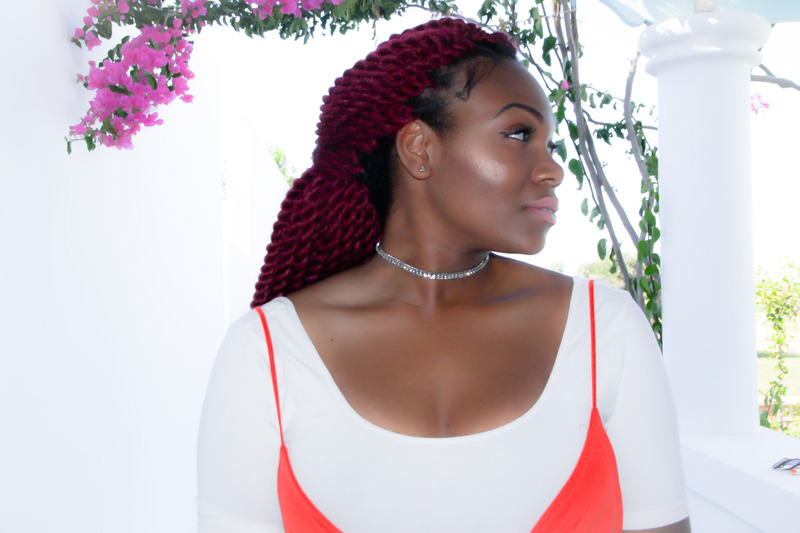 Wearing t-shirts under Spaghetti straps..
Another 90’s blast from the past that has been trending with both celebrities and fashionistas. This layered look is extra cool. 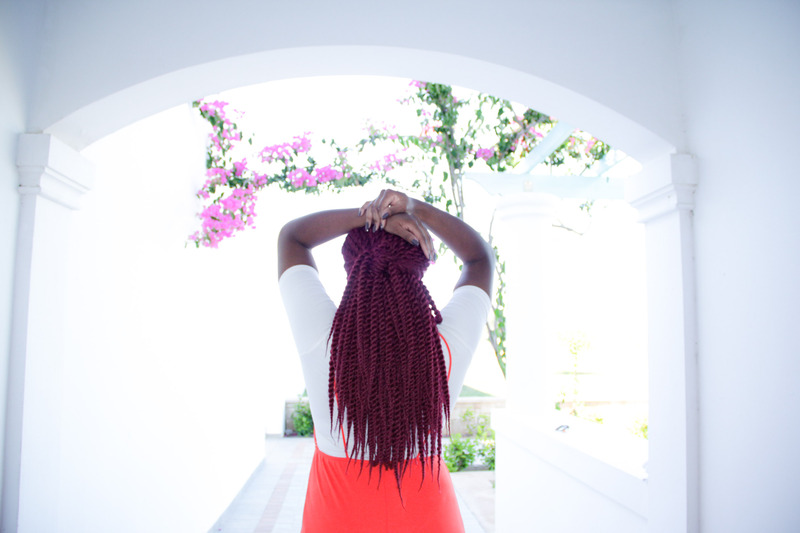 While you might not fancy layering in the hot summer months but this works because the layering is super light. 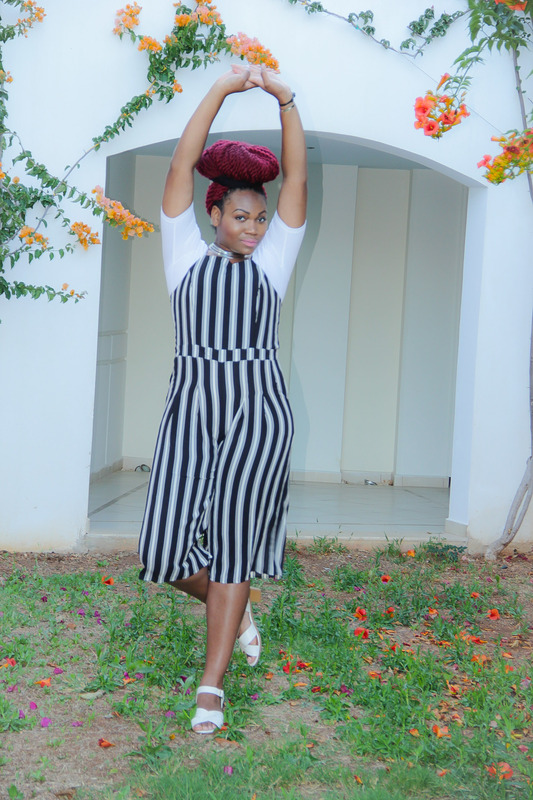 The easiest way to begin experimentimg with this trend is to layer a white t-shirt under a black spaghetti strap dress. 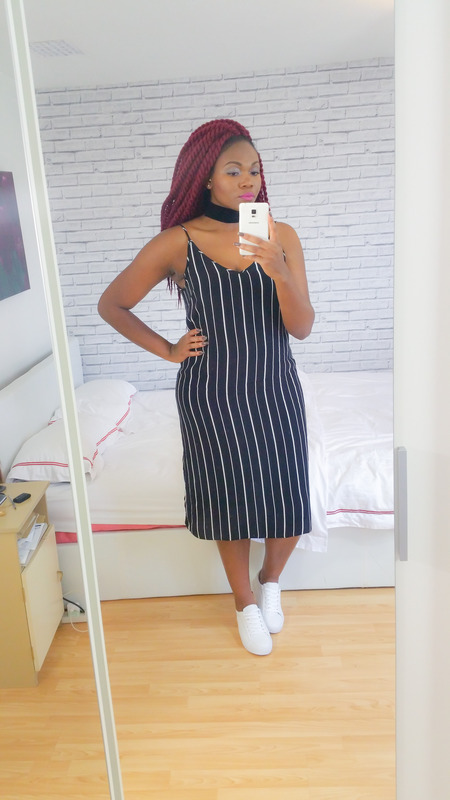 This t-shirt midi dress from Topshop actually comes as a one piece but is no longer available. 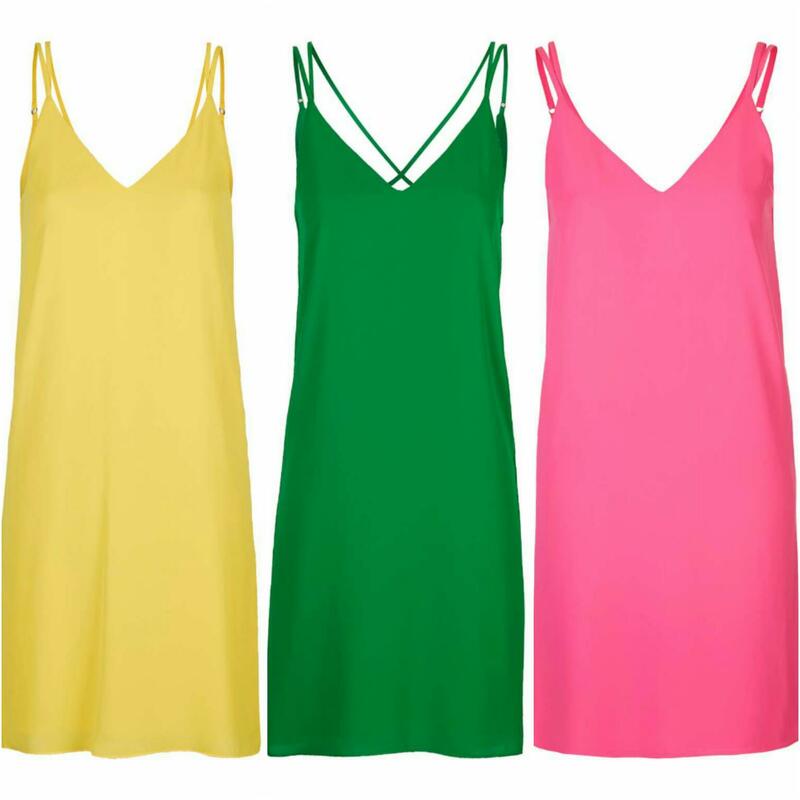 For the ultimate supermodel look layer with a slip dress. 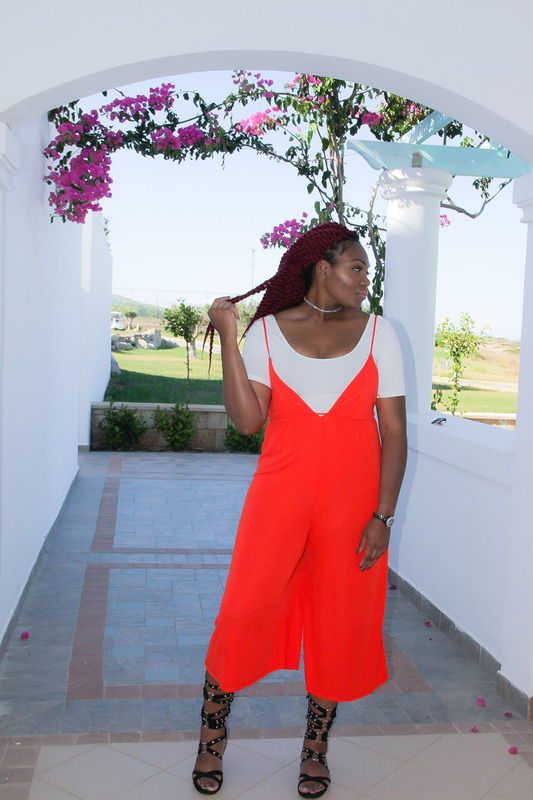 I have curated these TALL cross back slip dress from Topshop for just £29. I can’t get over the amazing colours. Which is your fav colour ? Have fun with experimenting with this throw back 90’s style. 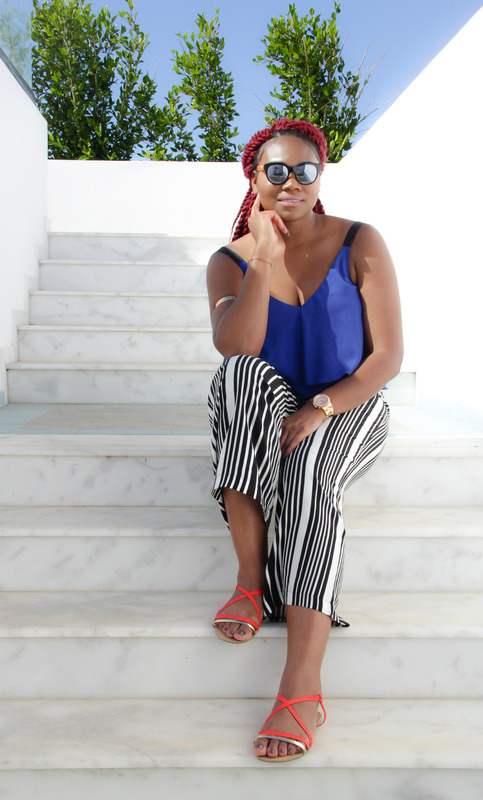 Everyone has their own rule on whether to wear vertical or horizontal strips. My view is that the only correct rule is the one that you feel comfortable in. 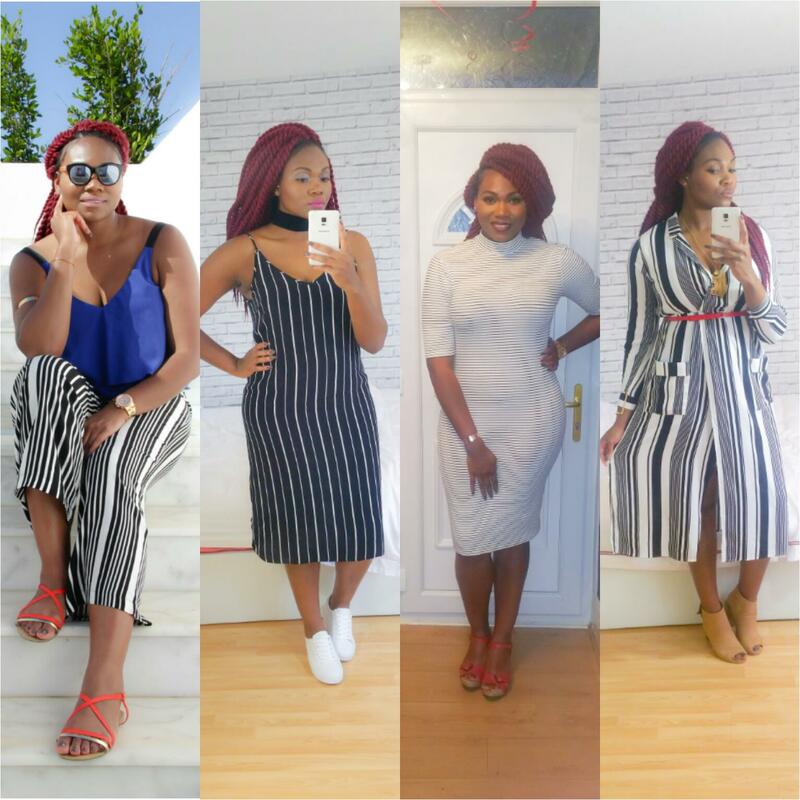 Here are 5 ways I rocked my stripes. I really love the varied thickness in the stripes. It adds so depth to this pattern. This is a piece that can eask be dressed up or down and it cut in a very flattering wrap front style 👍. 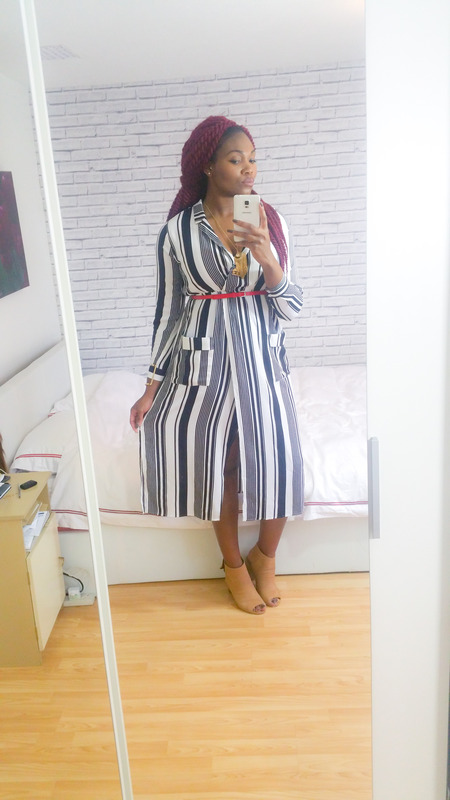 2) Marks and Spencer striped body con dress. 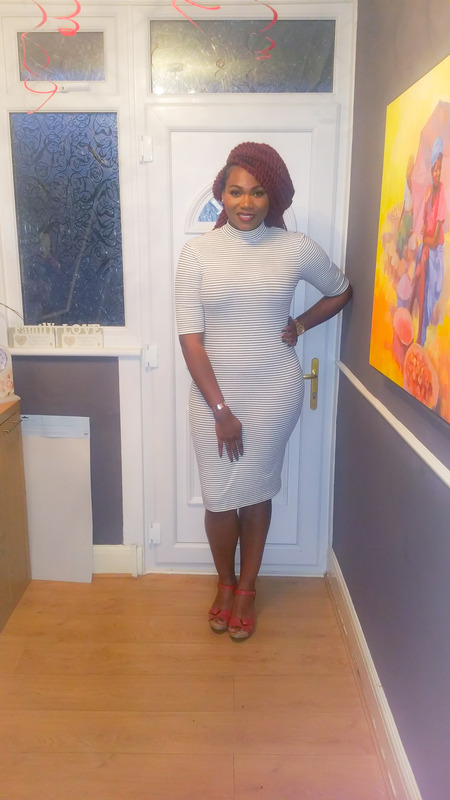 This dress was literally a steal from M&S. Believe me they do the best sales. This dress has the most flattering deep back neck scoop. 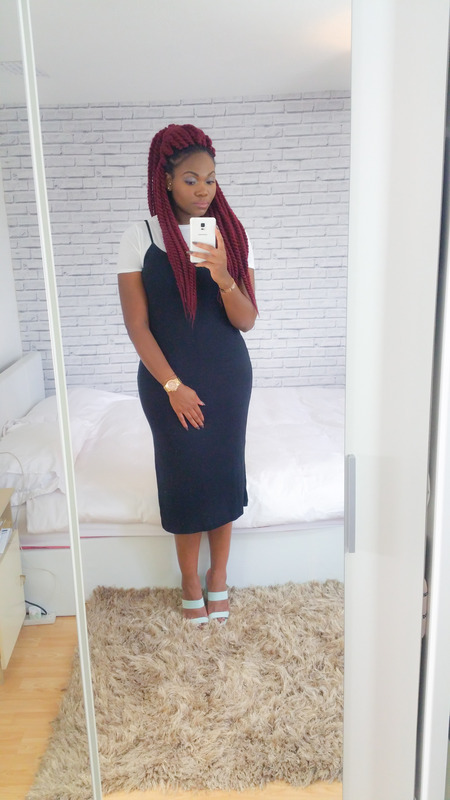 3) Asos Strappy vest dress. 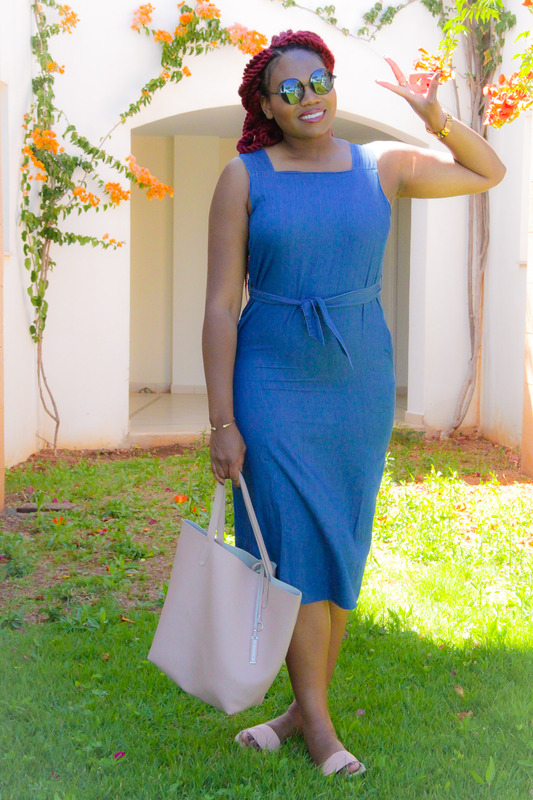 This easy peasy vest dress is great for all occasions this summer. Fed up wearing Jean, skirts and dresses. This jumpsunit culotte can and will add variety to your summer wardrobe.